If you have opted to collect your order from Shine Community Sports Hall it will be located in reception. If you have opted to have your order delivered to a Shine Session please specify date, time and location that your child is attending in the Order Notes section so that we can endevour to hand them the order at the beginning of the session. The carer/parent will be required to sign the Sales Receipt for the order upon completion of the session. We ship parcels Monday to Friday, and delivery is within these days. The courier will attempt delivery, and if unsuccessful, will leave a calling card informing you of their attempt. Please follow the instructions on the card, or contact us for more help. If you do not respond to the card within 5 working days, the parcel will be returned to us and you will be liable for all postage costs. If you have not received a calling card within 5 working days of ordering, you should contact us to avoid the parcel been returned to our warehouse. If you have not contacted us within this time frame, you may be liable for postage. We endeavor to ship as many orders as we can every day – however we cannot guarantee same day dispatch on orders placed after 1pm. UK delivery is sent via myHermes and can take between 3-5 working days for delivery. The collection for these parcels will be made the day after you place your order. The delivery charge includes insurance for the product in the event it becomes lost or damaged in transit. We have included this cost for peace of mind for both you as a customer and ourselves as a business. 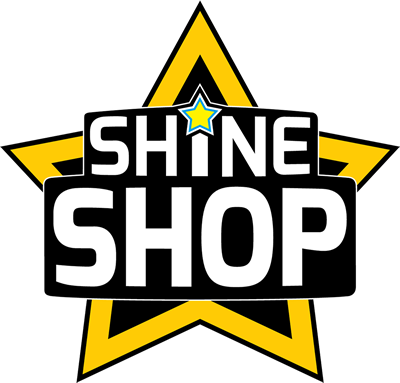 Merchandise purchased from Shine Sports Coaching Limited may be returned to our address within 14 days from the date of purchase provided that they are returned brand new, undamaged and in the original packaging. The cost of the item will be refunded less any outgoing postage charge incurred by Shine Sports Coaching Limited as is listed upon the invoice/sales receipt supplied with your item. This excludes any personalised, customised, or any other type of product where an adjustment has been made to the ‘normal’ at a customer’s request. These cannot be returned. We also reserve the right to alter, adjust, modify, resize, crop or re-colour any image or text submitted to personalise an item with – this will only ever be to improve the quality of output. The customer will be responsible for the return postage costs except for faulty items being returned. If for any reason the goods purchased don’t fit then we are happy to exchange them for an alternative size. We will endeavour to sort out a problem within 5 days of receiving the complaint. Please report non-delivery after 7 days of placing the order. IT MUST BE before 21 days if delivery/non delivery is within the UK. If an item needs replacing please phone or email, within 14 days of receiving the goods, so we can make arrangements. If the goods are faulty, damaged or different from those ordered, please contact us within 7 days of you receiving the order. We will replace the goods free of charge including postage, or give a full refund (if preferred) – within 30 days. It is important that you return the goods new and unused in the original packaging for you to receive a replacement or refund. If insufficiently protected we have the right to refuse the returned item. If the goods are ordered in error we will refund the goods in full, if sent back within 14 days of your receiving the order, but we will charge postage costs. Shine Sports Coaching Limited, Registered Company Number 07678389, VAT Number 183155507.